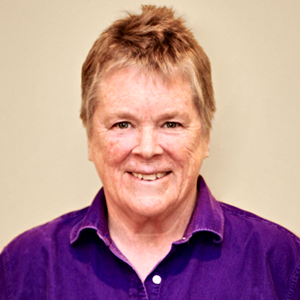 In the early 1990's I became interested in, not just individual recovery, but our collective recovery as a socially devalued and oppressed people. Whenever I would give a talk in a new state, I would be sure to take an extra day to photograph and document little known stories of our collective heritage. I organized and released some of these materials in my film, Politics of Memory. But I have so much more I want to get out to you. So my plan is to steadily release these historical treasures to let them see the light of day. I'm leaving it to you, my friends, to add commentary and put this stuff in context. These historical studies fuel my Love and Outrage. Children's stories have existed in all times and in all cultures. But children's books are a relatively new idea dating from the 1400's. In the United States, children's books became more common in the mid-1800's. At that time the books often included a series of short stories telling the tale of various characters and types of work in a small town. For instance, there was the Poor Bound Boy, the Milkmaid, the Milliner, the Farm Boy, and in some books, the Crazy Woman. The story below, comes from a children's book published circa 1850 in Boston: Phillips, Sampson and Company. It is titled Country Scenes and Characters. Or, Life in the village: with numerous engravings. The image used in this blog is an engraving from the original book. The italicized excerpt below is the actual text from the story of the "Crazy Woman". This woman's name is Jane Winslow. When a girl, she lived in a cottage close by the village grave-yard, and went to school in an old brick building that was once used for the sexton's house. But she was always sickly, and was often kept at home by her mother on that account. People pitied the little sick girl, and were very kind to her - especially so, because her father was dead. Jane had a brother older than herself, named George. He loved her much, and whenever she wished to go anywhere, would take her, often carrying her in his arms. The villagers were glad to see the affection of these children for each other, and often whispered among themselves, that when George became a man, he would support little Jane. Years rolled on, and Jane was a young woman. She recovered her health. But George changed also. He became a drunkard, abused and neglected his sister, and drew upon himself the hatred of all who new him. All efforts to reform him were useless, and he died. In his last sickness, Jane watched him till his death. Bad as he had been she loved him, and when he was buried, she became crazy, roaming all day among the woods, or sitting by her brother's tomb. I find it fascinating that the woman described in this story wasn't hauled off to an asylum. She was left to do what she needed to, with some sympathy from townsfolk. Another "crazy woman" children's story also highlights a more tolerant and compassionate view. 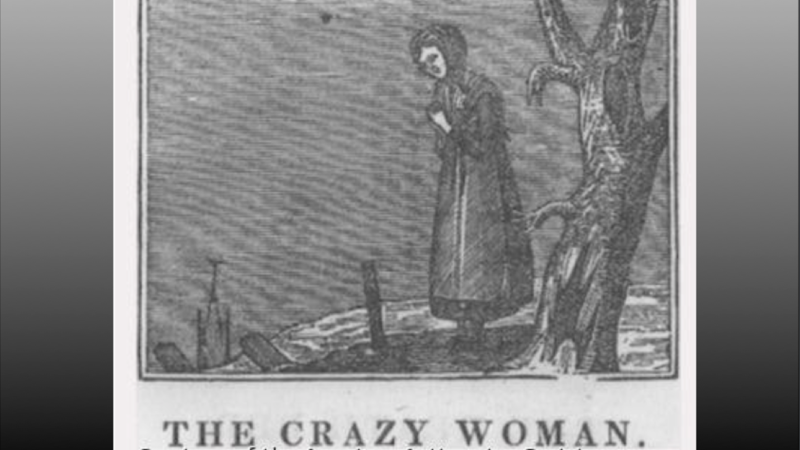 Here is the online, full-text version of the story of Crazy Ann from 1850. I am really interested in your thoughts. What do you make of the story of the Crazy Woman? Any parallels to our world today?